Is this the Era of the Mayor? Lyndon B. Johnson was famous for saying “When the burdens of the presidency seem unusually heavy, I always remind myself it could be worse. 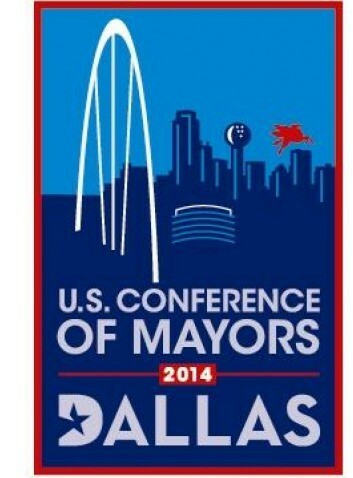 I could be mayor.” This past weekend, Dallas hosted the U.S. Conference of Mayors. After four days of intense and thoughtful meetings and action-packed resolutions, it occurred to us that our current President probably wishes the opposite were true – that he had the sway that many of the mayors at this meeting have. With Congressional approval ratings at an all-time low, more attention has been focused on cities to make things happen (we began reporting on this last year). We predict that this decade will not be dominated by leadership inside the Beltway, but instead will be the “Era of the Mayor.” To recap some of the major themes of the conference, we have identified three key roles that mayors are now playing and some new and noteworthy ideas coming out of the conference. Chief Innovation Officer – If one word was uttered most at the conference, it was innovation. Speakers described all types of innovation, not just technological advances, and acknowledged that innovation only takes you so far. It must be followed with results and, ultimately, cost savings for citizens. For example, Mayor Fischer of Louisville, an entrepreneur, encouraged mayors to find “breakthrough” strategies – to invest in entrepreneurial training, data for improved decision-making and cross-sector collaboration. (Sound familiar?) Google also shared some of their “moonshot” ideas – long-term, groundbreaking projects, such as driverless cars and encouraging girls to pursue STEM careers (we loved this video) – that, when completed, would serve many social goals. As Chief Innovation Officers, mayors can help champion new ideas within City Halls across the country. Chief Equalizing Officer – Many of you probably have seen the headlines about the new Mayoral Task Force to Tackle Inequality. However, this conference didn’t just discuss income equality. It also announced several important initiatives, including Early Learning Nation, supporting equal access to high-quality early childhood education, and Maria Shriver’s A Woman’s Nation, supporting the modern family. Shriver shared her game-changing City-Festo, which gave mayors a 10-point plan on how to support her campaign. Ideas included promoting education for women, empowering women as entrepreneurs, closing the wage gap for women and providing time off for family obligations. As a special tribute to her father, Shriver also nudged mayors to hire a person with intellectual disabilities at City Hall through the Best Buddies project. As Chief Equalizing Officer, mayors have a unique opportunity to ensure that all people can contribute to the economic vitality of their city, and the City itself, as a leading employer, can serve as a role model. Chief Silo-busting Officer – Because mayors often represent the entire community,they can bring people and organizations together around joint solutions. Breaking down the walls of our own siloed thinking, e.g., healthcare vs. education or nonprofit vs. business, was recognized as a solution to our inefficiency at solving social problems. We were honored to present some of our ideas around how ecosystem mapping can drive greater collaboration and alignment of resources. Among the strongest silo-busting efforts presented, we were impressed by Dallas’ Information Exchange Portal, which tracks patient healthcare outcomes and enables enhanced communication between all stakeholders. We also loved Mayor Goodman’s efforts in Las Vegas to bring together leading nonprofits to reduce duplication, share resources and develop strategies for the community. As Chief Silo-busting Officer, mayors can connect ideas, people, and even communities and people together to collectively solve problems. With their local influence and range of roles they play, mayors are critical to developing and implementing solutions to social problems. We encourage all social sector organizations to reach out to their mayor (as well as City Council and City staff) and bring them into discussions about the issues facing clients and the community. These men and women are ready to innovate, take action and serve as champions in this “Era of the Mayor.” Please feel free to share examples of how your mayor has taken a leadership role as we continue to chart this new trend in the social sector. I think you hit the nail on the head Suzanne with this article. The gridlock in Congress is forcing our nation’s mayors to collectively set a national agenda for change. This is the direction that NLC President (and St. Paul, Minnesota Mayor) Chris Coleman is leading our organization.